World’s Best Cat Litter™ is partnering with five amazing shelters in 2017 for our GiveLitter™ charity program. In this new blog series, we will spotlight each shelter and what makes them #ALitterBitAmazing. This month’s featured shelter is the Humane Society of Tampa Bay. We’ve all heard that cats have nine lives, but what if we told you there was a cat who actually survived being buried alive? It sounds like something out of a horror movie, but Bart the “Zombie Cat” is real, and one of the most amazing rescue stories ever seen at the Humane Society of Tampa Bay. Back in February 2015, Bart was hit by a car and presumed dead by his owner, who asked his neighbor to bury the cat near his home. However, it turned out he was buried prematurely – the brave cat dug himself out of his grave, and emerged five days later begging for food! 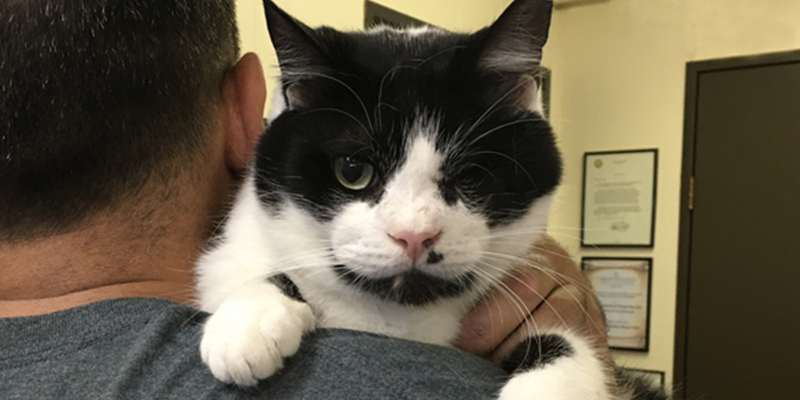 As Bart had incurred serious injuries, his owner brought him to the Humane Society of Tampa Bay’s animal hospital, where he underwent surgery to repair his broken jaw and other facial injuries, including removing his eye. 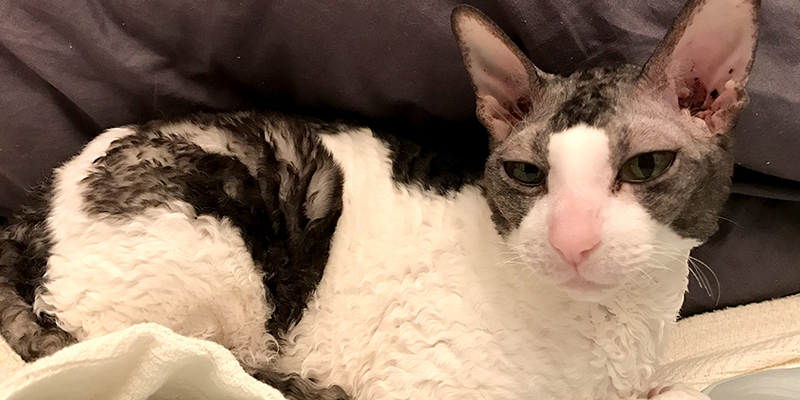 Bart’s amazing survival story went viral and he soon began receiving donations from all over the world to cover his expensive treatment. The news even traveled to Australia, inspiring one family from Down Under to make a pit stop at the shelter on their way to Disney World, just to meet Bart. Deemed an animal cruelty case due to circumstances discovered before his burial, the Humane Society of Tampa Bay revoked custody from Bart’s owner. 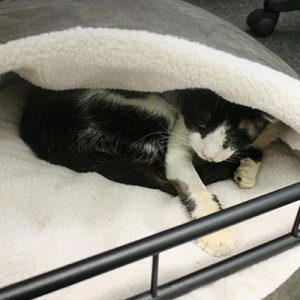 The sweet tuxedo cat lived in the shelter’s office for over a year until he was eventually adopted by a staff member. “To many he became known as ‘Zombie Cat,’ but to us he’s always been nothing short of a miracle. Not because we believe he rose from the dead, but because his gentle spirit, will to survive, and resilience in the face of extreme trauma embody all that we love and admire about animals. He is truly an ambassador for second chances and continues to inspire people from all over the world. We love you, Bart, always and forever,” said the Humane Society of Tampa Bay in a statement at the time of Bart’s adoption last year. 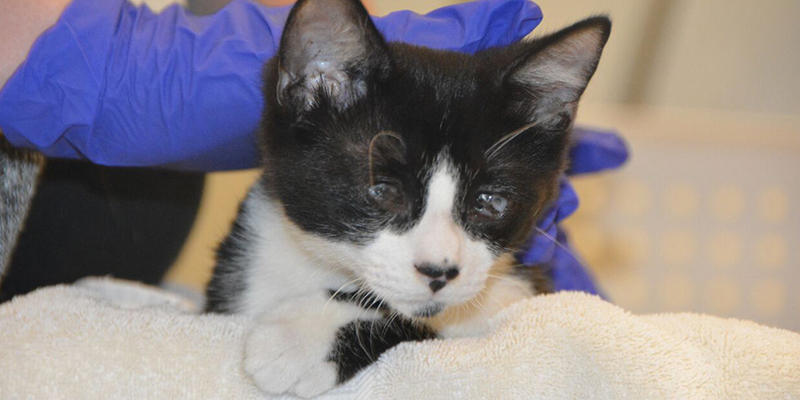 It’s stories like these that make the Humane Society of Tampa Bay, a World’s Best Cat Litter™ GiveLitter™ shelter partner, such an amazing place, says Karen Ryals, Chief Development Officer at the shelter. Founded in 1912, the no-kill shelter saved over 8,400 animals in 2016, and has about 300 active volunteers. The Humane Society of Tampa Bay houses about 80 cats at any given time, and helped 2,922 cats get adopted in 2016. The shelter also has an on-site hospital that was constructed in 2012, offering medical services for pet parents of all incomes. 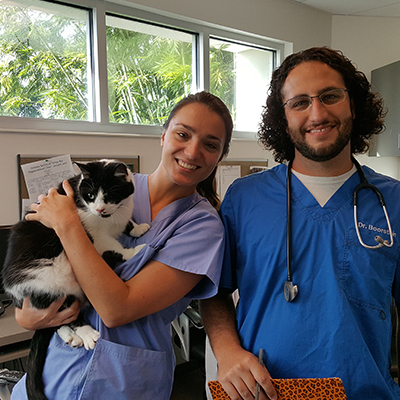 According to Ryals, another reason the Humane Society of Tampa Bay is so special is its dedication to giving back to the community. In 2013, the shelter partnered with local animal services for its Community Cat program, which traps, vaccinates, neuters/spays and rehomes thousands of cats every year. “My mantra is, this is your humane society, not ours. It belongs to the community. You have to give them ownership if you want it to succeed,” says Ryals. 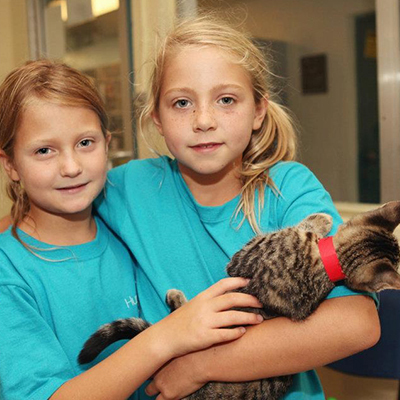 In addition to the Community Cat program, the Humane Society of Tampa Bay offers several programs for local children, including Paws for Literacy, an initiative in which children ages 5-8 practice their reading skills by reading aloud to the shelter animals, and Critter Camp, an educational program for children ages 8-12 in which they can learn about taking care of the shelter animals, honing the skills of many potential future veterinarians! The fun isn’t just limited to children – the shelter also has several high-profile fundraising events throughout the year, such as its “Bark in the Park” fundraising walk, and the glitzy “Tuxes and Tails” black-tie gala. Tuxes and Tails is such a big part of the community in Tampa Bay that the event raised more than $500,000 last year. 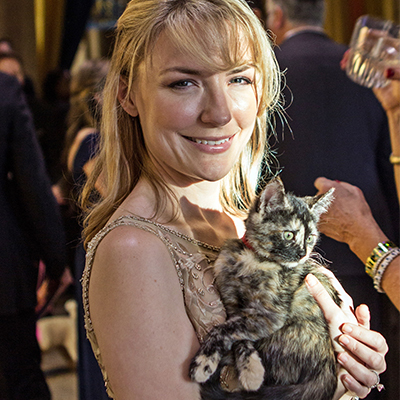 Many local celebrities attend, carrying dozens of adoptable animals down the gala’s annual runway to spotlight them and help find them homes. Bart was one such featured animal last year, making his star appearance at the event in a covered stroller. While every cat at the Humane Society of Tampa Bay is guaranteed to find a fur-ever home, the shelter takes its time making sure the cats don’t just find a home, but that they find the right home. In the meantime, all of the shelters cats are free to roam around the facility, which includes a dedicated cat room filled with toys, and even a treadmill called “One Fast Cat” for felines that need to get their workout in. The shelter recognizes that even after a cat is adopted, the adoption may not be the right fit, and welcomes the cats back to the Humane Society if needed until they do find that perfect home. “There is no judgment here,” says Ryals. 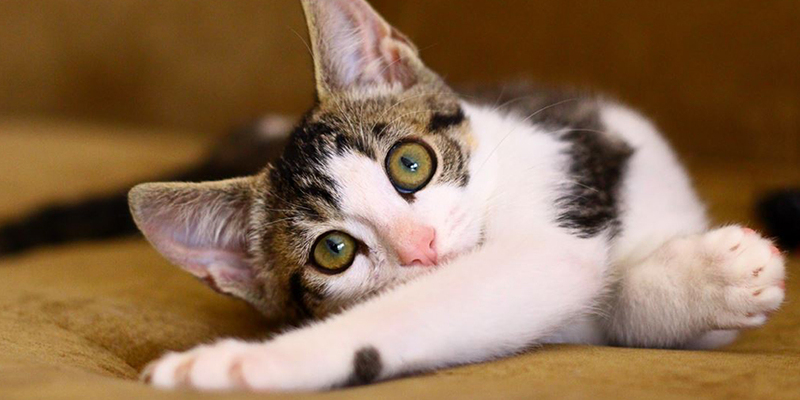 Interested in learning more about Humane Society of Tampa Bay and its cats? Visit them online. Can’t make it to Florida, but want to help give back to shelter cats (for free!)? Go to givelitter.com to learn more.